Which Property is a specialist real estate company offering owner-occupiers and investors select off-the-plan and brand-new Australian properties. Under the guidance of Managing Director, Mark Borrill, who has over 20 years of experience in the Real Estate industry, Which Property have established themselves as an industry leader. Which Property Financial Services have the ability to shop around for the home loan that’s right for you. Whether you’re in the market for your first home, building a portfolio of investment properties or require lending for your self-managed super fund, we have access to hundreds of loans from a wide variety of lenders. Upgrading to a beachfront lifestyle doesn’t necessarily mean downsizing, with home-sized apartments at White Shells providing plenty of space in an unbeatable location. Perfectly positioned and never to be built out, White Shells is an intimate complex of just 48 two- and three-bedroom apartments at Marcoola Beach, on Queensland’s popular Sunshine Coast. These superior apartments feature high-quality finishes including stone benchtops, ducted air-conditioning and European appliances, and some boast private roof terraces or courtyards with heated plunge pools. All residents have access to a rooftop terrace, with two spas, a large pool and stunning views of the ocean and hinterland. The homes in this development have been snapped up by owner-occupiers and future owner-occupiers alike, and there are just eight remaining for sale. Prices for the remaining apartments have been reduced and range from $545,000 to $845,000. “This is an incomparable opportunity to enjoy Australia’s dream lifestyle, living just moments from the beach, with everything you need on your doorstep, in a spacious, quality home,” says Terry Taylor, Sunshine Coast Sales Person, Which Property. “Many apartments have been purchased now as an investment with the intention of making this the purchasers' future place of residence. The superior quality of finishes and beachfront location make White Shells an obvious choice” he adds. White Shells is located just out of Coolum on the Sunshine Coast. This is one of the fastest growing local government areas in Queensland, with the population expected to grow an average of 2.2% over the next ten years. It is surrounded by good infrastructure, including schools and a university, shops, parklands and golf courses, and the proposed airport redevelopment promises further growth. The residences at White Shells offer exceptional value. All reasonable offers will be considered and incentives are available. Visit www.whiteshells.com.au for more information. 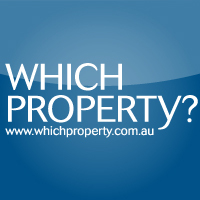 07 3505 6000 or paulak@whichproperty.com.au.